This custom-made stamp shows the Bengtskär lighthouse. The lighthouse is located in the Turku archipelago and was built in 1906 on the islet of Bengtskär using bricks and the natural granite rock mined on-site. 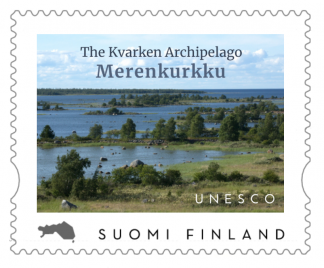 The custom-made personalized stamp is valid in Finland (domestic forever payment). 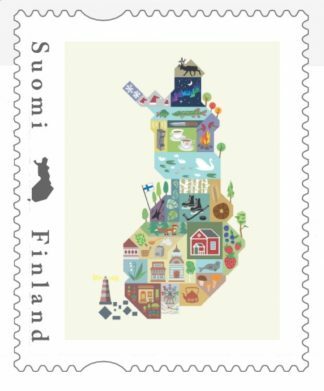 Size of stamp is 43mm x 35mm and material is matte sticker used by Finnish Posti. Coupon codes are not valid for stamps. 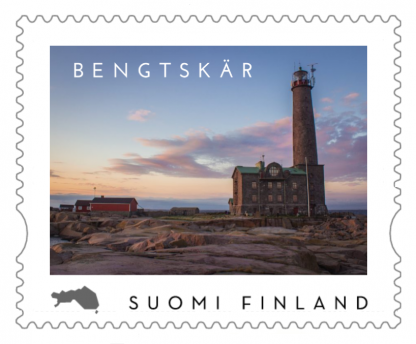 This same lighthouse view is available as a postcard too.